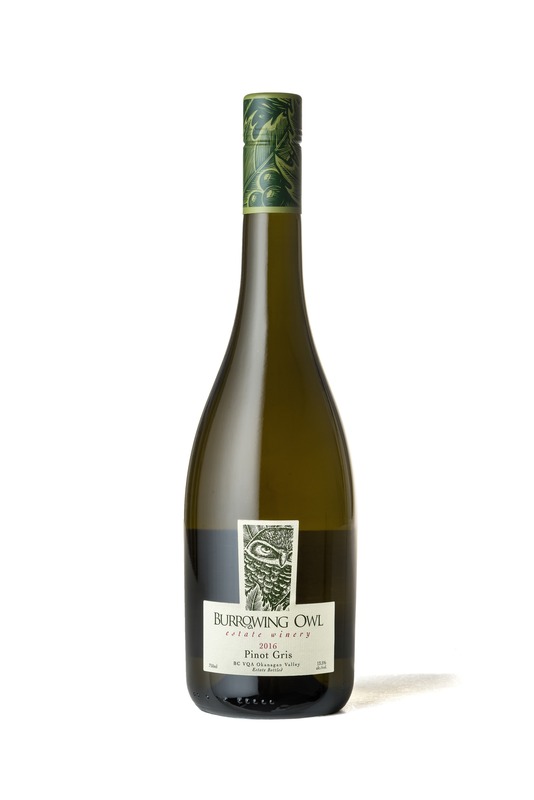 The South Okanagan style of the 2016 Burrowing Owl Pinot Gris shows great aromatic complexity, substance and freshness. Bartlett pear, honeydew melon, peach, and apricot build up on the nose with hints of grapefruit, apple blossom, and honeycomb, combined with mineral and herbal undertones. It is dry with layers of tropical and orchard fruits wrapped with refreshing citrus and key lime flavours that linger on the palate. Enjoy its unique character as a standalone wine or pair with richly flavoured dishes like roasted peach and ginger chicken thighs or grilled calamari skewers with bell pepper and garlic aïoli. Ten years after the fabulous 2006 vintage, we were offered another amazing growing season. Spring was early, sunny and warm with just enough showers to boost vine canopy growth. July and August added ideal summer heat, ripening the grapes slowly. Lively and aromatic whites were picked during a dry September month while red grapes benefited from warm days and cool nights to fully develop their flavours while retaining their acidity. The Pinot Gris grapes were harvested from our black Sage vineyards from September 7th to 29th 2016. We utilize the traditional method of hand harvesting because it preserves the integrity of each berry. With the same spirit, the grapes were gently pressed “whole cluster” (meaning the berries are broken at one time), and the juice released was drained via gravity flow into stainless steel tanks for a temperature-controlled fermentation (13-16 Celsius). Different yeast strains were used during fermentation to generate a myriad of flavours, and the wine was left in tank over the winter months. There was no use of malolactic fermentation, and minimal handling until bottling in April.